Champagne flows as Zuma kicks off ANC’s ruling party – News – Mail & Guardian Online. I will try to write more about the elections next week, when all of the results are in. But the ANC, of course, won a majority of the councils and seats around the country. 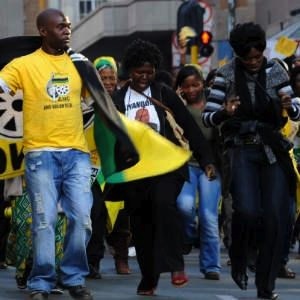 Although the Nelson Mandela municipality had seemed in play, the ANC won it. The DA claimed victory only in Cape Town – the one metro that does not have a black majority. That said, it does seem, anecdotally, that race played somewhat less of a role in this election, as many voters focused on service delivery, at least rhetorically. But that will be a hot question to consider in the next few months. In any case, it looks to have been a free and fair election, vigorously contested, with at least some attention to serious issues that face people’s lives. Apparently, Donald Trump stayed out of the fray.